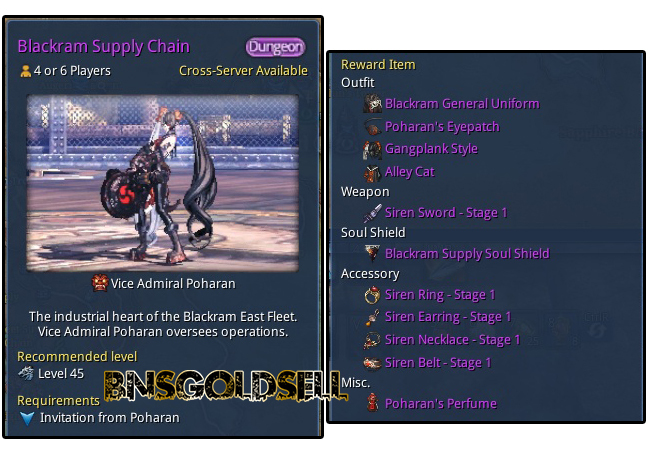 As the previous BlackRam Supply Chain Guide update to how to fight with Poharan, this is the last part of this guide. I will introduce how to deal with the last boss - Poharan. Not like the Mark Sobo, Poharan is a little tough to deal with as there are a few different mechanics that you have to take some attempts to get used to. In terms of my experience, I would like to divide this fight into 3 different phases. Knock up attack, which can be iframed. Aeria attack: if you get hit by her knock up attack, you will get Aerial attack from her. Aerial attack can deal a great deal of damage. Fire mine attack: Poharan will jump into the middle of room and shoot fire into the ground, which can expand all the way to the wall and she will go back in repeat. In order to deal this fire mine attack, you need iframe both times when its expanding out and going back in. Long range frontal mini-gun attack, which can be avoid or blocked. You will be dazed if you get hit by it. Above are the main attacks at this stage. You have to suffer 2 times of fire min attack before the Phase 2 begins. Again, Pohraran will jump in the middle of the room, however, she will start to use her frost attack. You should have one of your party member to pull the lever present in the room, which can make steam coming out of the steam vents in the room. In oder to avoid getting frozen, another member should stand on. You can Buy Blade and Soul Gold to buy useful items for you! Grenade attack – Pohraran will throw this attack at who has aggro to leave fire on the floor to damage you. If the steam vent you stand is full of fire, try to quickly move to another one before the frost attack takes effect. When she consumes around 40% hp, Phase 3 begins. At this stage, 2 tigers will spawn. And you can choose to kill them or just off tank them. Expect combos of phase 1 + 2 attacks. At first, this fight may seem quite tough, however, as long as you do more, it becomes easier. When you have a good understanding of the fight mechanics, you can complete this dungeon with ease. Below is the full vedio for BlackRame Supply Chain. If you want to get the outfits and Sirens weapon, you have to join the 4-player version of this dungeon. Hope this guide is useful for you to complete through BlackRam Supply Chain dungeon!